The proposed minister would assist with the challenges facing the Australian city. In the broadest sense, these challenges are rapidly increasing population, shifting demographics and climate change. The new ministry would respond by coordinating across cities, leveraging expertise and improving the urban knowledge base. Perhaps there would be new funding initiatives too. In fact, Anthony Albanese is opposition Cities Spokesman and so may become Australia’s second Minister for Cities if Labor win the upcoming election and maintain his appointment. Would a Minister for Cities make a difference? The proponents’ claims rest on a number of assumptions. That the person appointed would be a strong and informed advocate for cities as part of a supportive government. That developers, professionals and the Australian people would lend their support. That local and state authorities would listen and implement. Yet these assumptions are of course not assured. After all, Australia effectively has had a Minister for Cities before. At least momentarily. The ministry went by the name of the Department of Urban and Regional Development, which produced the unfortunate acronym DURD. After the 1972 election, Gough Whitlam established DURD and appointed Sydneysider Tom Uren as Minister for DURD, or really “Minister for Cities”. In 1981 journalist C.J. Lloyd and former DURD Deputy Secretary Patrick Troy published a book on DURD. They characterised DURD under the title ‘Innovation and Reaction’. This blog’s title is drawn from that characterisation. Any discussion today about a ‘Minister for Cities’ must contend with this earlier period of experimental urbanism. This history raises a number of concerns. Cities were indeed a priority for the Whitlam Government. To reflect this importance, Uren wanted to model DURD after large and powerful governmental departments like Treasury. However, the public service prevented DURD from reaching its potential. According to Lloyd and Troy, cross departmental conflict limited DURD’s capacity to implement urban policy. The Federal Government has limited powers to directly impact cities. Canberra (and the other territories) are exceptions. 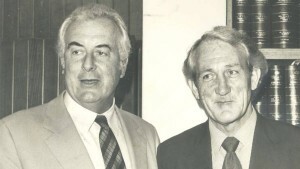 Whitlam passed legislation for urban developmental authorities in places like Albury-Wodonga on the New South Wales-Victoria border and Monarto, South Australia. These authorities were subsequently disbanded. In order to implement any urban policy, the Federal Government requires the backing of state and local governments. Western Australia were recalcitrant towards DURD. The most troublesome concerns are of course ideological. First, how big or small should government be? Those in favour of smaller government no matter what certainly don’t want a national authority for cities. (Or vice-versa for supporters of ‘big government’.) Second, what is the most productive role of government in federated countries? In Australia, as in the United States, debate rages over whether government should be more or less centralised, giving or eroding state/local power. How does this play out in cities? In various ways. For example, in rejecting federated control of cities, an alternative option might be stronger amalgamated local councils for our cities like Greater London. Ultimately, every one of these concerns might be framed ideologically. Following Whitlam, the Malcolm Fraser Liberal Government immediately dismantled DURD. Would a contemporary Liberal – or even Labor – Government reintroduce a Whitlam era policy? Would it just be a watered down DURD? How might DURD inform a federal urban agenda today? When it comes to Uren and Whitlam’s urbanism, urbanists, political scientists, politicians and historians have debated its legacy for decades. 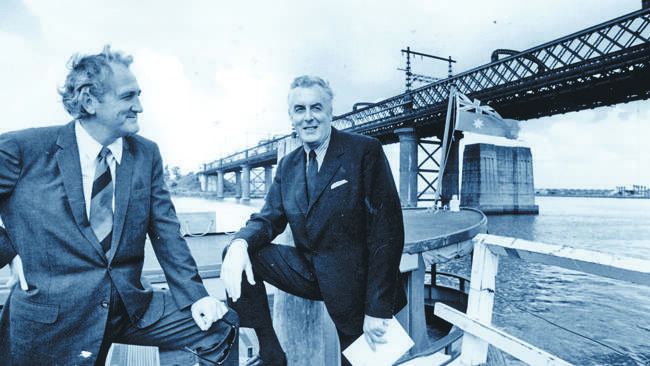 For urbanist Hugh Stretton, their experimental urbanism ‘came to be remembered – or slandered – as extravagant follies which had helped [Whitlam] fall.’ To disentangle DURD from Whitlam’s broader legacy might well be impossible. Any discussion about a potential Minister for Cities must contend with these at once historical and contemporary concerns. After all, there are many alternative ways to deal with the crisis facing the Australian city. It cannot simply be assumed that federal intervention is the best option. Pingback: The Fifth Estate | Innovation and Reaction: What Would a Minister for Cities Be Good For? Pingback: Holding Redlich | What's news? Pingback: The Urban Developer | Do We Really Need A Minister For Cities? I can think of something a Minister for Cities would do. Get money flowing. The vertical fiscal imbalance is likely to persist. The pools of money will be stuck at the top level of government. A good way to get money to cascade downward is to have someone high-up splashing about in those pools. The risk here would be over-eagerness to turn sods. The ABC’s Utopia program comes to mind. Poor project selection is one of the greatest risks to Australia’s productivity. An uncautious Minister for Cities could realise those risks on a national scale. Interesting economic point. Remember too that the oil crisis of 1973 wreaked havoc on Whitlam’s urban agenda as it did on his government’s entire programme.